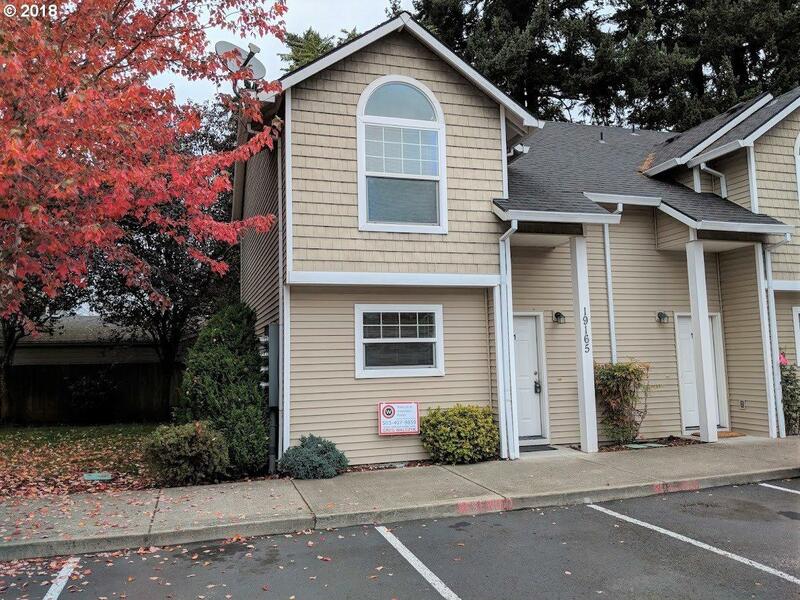 Super cute townhome style property in quiet community. Close to everything! Great corner unit. Open floor plan on main has kitchen overlooking main living with cozy gas fireplace. Laundry room & main floor bath. Slider to private, fenced, easy maint back yard. Storage room. Upstairs has 2 vaulted master suites each with own full bathroom. Newer paint. Professionally cleaned. 1 dedicated parking & 1 guest.